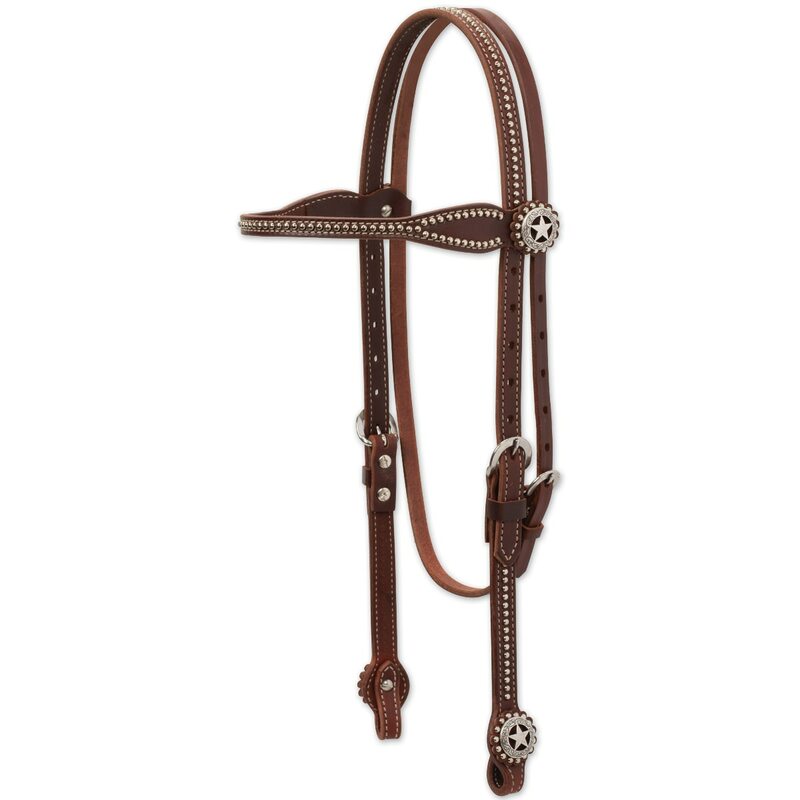 From the trail to the show ring, this headstall looks right at home. Antique silver plated Texas star conchos add just the right touch to the browband and bit ends of this oiled canyon rose harness leather 5/8" headstall with slim 1/2" browband. Nickel brass spots add the perfect touch of western style.